This article will focus on some of the key parties to a trust. There are generally three parties to a trust; the grantor, trustee, and beneficiaries. The Grantor or Settlor is the person that creates the trust. This person will discuss with their attorney their wishes for the trust and the terms that will be drafted into the trust. This is the person that executes the trust. The Trustee is the person who will receive the property of the trust and accepts the obligation to follow the terms of the trust. The trustee must be prudent with the property in the trust and is obligated to administer the trust for the benefit of the beneficiaries. A trustee can be an individual or corporation. 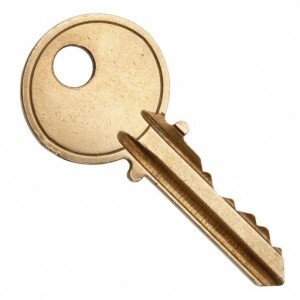 The Beneficiary or Beneficiaries are the people who will benefit from the trust property. They have a right to enforce the terms of the trust. In a typical revocable trust meant to avoid probate, the grantor is usually all three parties. Daredevil Dan walks into Ira K. Miller & Associates and asks Ira K. Miller & Associates to draft a revocable trust for him to avoid probate. After his passing, Daredevil Dan wants to leave 50% of the trust to his son Brian, and 50% of the trust to his daughter, Angela. He only wants Brian and Angela to have access to their money when they are 30 years old. He makes himself the primary trustee and makes his friend Charlie the successor trustee of the trust. In this trust Daredevil Dan is the Settlor because he is creating the trust, the trustee, because he will manage the trust during his lifetime, and the beneficiary of the trust as the trust says that the trustee shall pay the income to Daredevil Dan during his lifetime and may use the principal of the trust for Daredevil Dan’s health, education, maintenance and support. Daredevil Dan was lying on a beach in Hawaii when a coconut fell from a tree above him and hit him on the head, and that was the end of Daredevil Dan. When Daredevil Dan passed, Brian was 25 years old and Angela was 21 years old. Upon Daredevil Dan’s passing, the successor trustee, Charlie will act as trustee of Daredevil Dan’s trust. He will follow the terms of the trust and hold the money in trust for Brian and Angela until they reach the age of 30. At that point he will distribute the money outright to Brian and Angela. 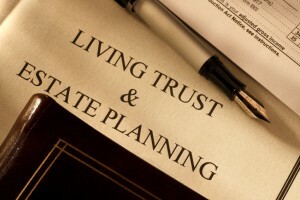 Contact Ira K. Miller & Associates for any questions you have regarding trusts. 1) Avoiding Probate- A great benefit of a living trust is that it avoids probate. Probate means the official proving of a will. This official proving is done at the Surrogates Court in the county where the person was domiciled before their passing. In order to probate a will, a copy of the will must be distributed to everyone who would inherit from the person’s estate if there were no will. In some cases, locating these people who would inherit can be very difficult, costly, and time consuming. By creating a trust, this issue can be avoided. 2) Privacy- Another key distinction between leaving a will and creating a living trust is the level of privacy. A living trust is not made public and upon death of the grantor, the distribution of an estate is done in private. A will becomes a public document once it is probated and anyone can view how you left your estate upon your passing. 3) Quicker access to funds- Probating a will and having the Surrogates Court grant authority to the executor can take months. With a Revocable Living Trust, the successor trustee can gain access the person’s funds quickly and distribute them according to the terms of the trust. 4) Revocable- The trust can be changed, revoked, or amended at any point during the grantor’s life. Once the grantor dies, the trust becomes irrevocable. 5) Protect your beneficiaries from creditors- Terms can be placed in the trust to protect your beneficiaries from creditors. If a trust owns the beneficiaries funds, creditors cannot gain access to those funds. 6) Avoid Ancillary Probate- If a person has property in multiple states, they can deed or transfer all property into the trust. Upon the passing of the grantor, the property can be distributed according to the trust. If a person has a will and resides in New York and has property in Florida, a court proceeding for probate would have to be started in New York. Following the executor given legal authority under the will by the Surrogates Court of New York, a second proceeding for Ancillary Probate would have to be started in Florida in order for the executor to collect the property in that state. 7) More Specific Terms- A trust gives the grantor more options as to when a beneficiary receives an inheritance or what condition is necessary for the beneficiary to receive their inheritance. A Revocable Living Trust is more complex and expensive than a simple will, however, there are many benefits associated with it.